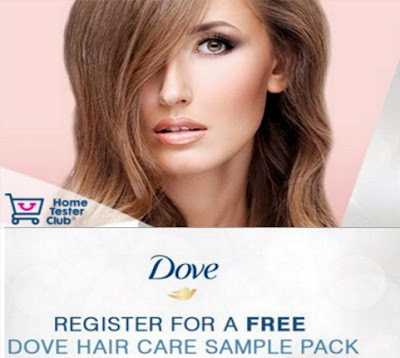 Home Tester Club is offering Free Dove Hair Products available for trial! Answer a few quick questions for your chance to get a sampler of new hair care products! Also, new signups are entered to win 1 of 3 $100 Shopping vouchers! March 24 - Some invites have already gone out today! Check your emails to see if you were chosen for this. More samplers are still available, so if you haven't signed up yet, you can do so at the link below! Click here to sign for this Home Tester campaign. I got the dove sample and they are great. I also got coupons which I will use.ty so much for the sample. Got mine and tried them right away, again Dove products have out done themselves, just love how they make my hair feel. I got my Dove Samples Yesterday! YAY!! Was so excited I hopped in the shower and tried em out. I love that they smell amazing! And the Shampoo doesn't suds up which means its a healthy more natural shampoo. and the Conditioner is so nourishing it felt s nice. After the shower my hair felt so clean! Thanks for the samples! I will keep using and also thanks for the coupon!